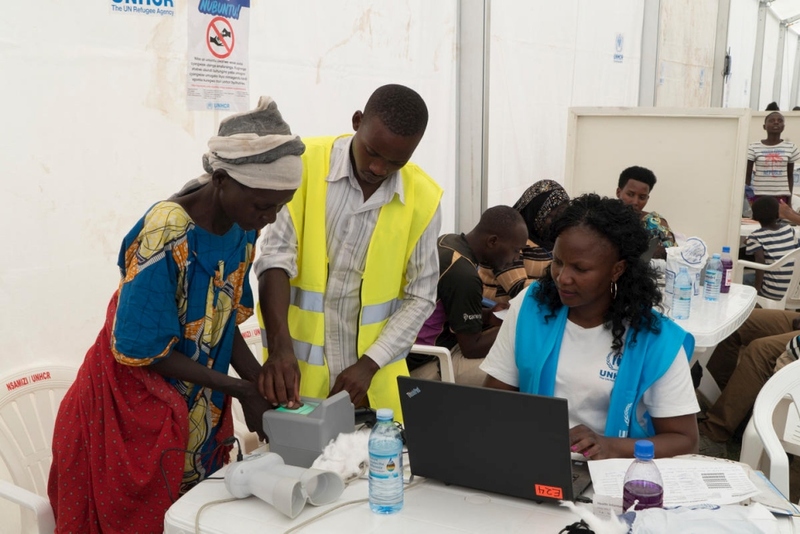 KAMPALA – UNHCR, the UN Refugee Agency, the Office of the Prime Minister of Uganda (OPM) and partner agencies today officially launched a communication system for refugees and asylum seekers in Uganda. The two-way communication system is being rolled out to all refugee settlements in Uganda and is anticipated to cover the entire refugee operation by February 2019. The FRRM will include, for the first time in Uganda, the establishment of a centralized call centre with an inter-agency toll-free countrywide helpline. This will allow refugees and asylum seekers to report urgent protection and assistance-related problems, receive guidance on queries, lodge complaints about sensitive incidents or obtain general information and advice. The calls answered in real time and complaints will be transferred to relevant agencies for resolution while ensuring the confidentiality of the information received through the helpline. The system will enable UNHCR, the Government of Uganda (GoU) and humanitarian partners to effectively manage feedback, inquiries and complaints received from refugees and asylum seekers and provide timely responses to their concerns. The FRRM currently comprises a number of channels including the new toll-free helpline and already existing mechanisms to receive feedback from refugees such as protection desks, suggestion/complaint boxes, community structures and face-to-face communication with refugees. Mr. Boutroue added that the FRRM will give refugees and asylum seekers the opportunity to make their voices heard and quell the storm of misinformation that often lands them in the wrong hands. He further added that the FRRM is a step in the right direction at a time when all partners in the refugee response need to increase two-way communication with refugees. “Refugees and asylum seekers need critical information in real time. They actively seek updates and advice, but often get a range of misinformation on social media. Setting up a call centre for refugees will immediately address some of these issues,” he added. The call centre will be receiving calls from all refugee settlements.